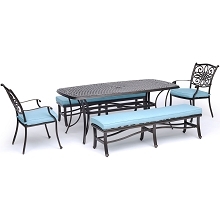 Make comfort a statement with the Orleans 4-Piece Woven Lounge Set by Hanover Outdoor. 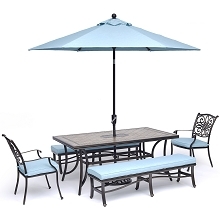 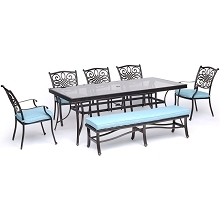 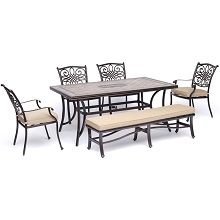 This tranquil set includes everything you need to create an outdoor retreat area in the comfort of your own backyard. 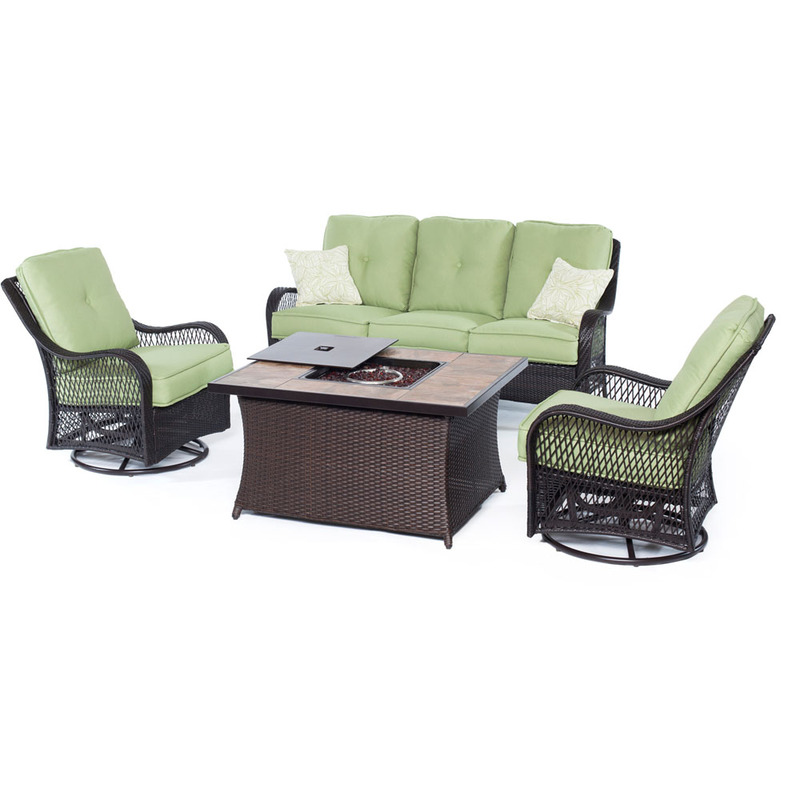 One deep-seating sofa, two swivel rockers, and a coordinating fire pit are included in this charming set. 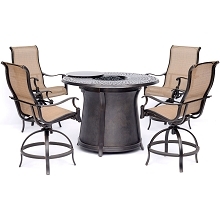 Spend your days lounging comfortably in the sun, and by nightfall, ignite the fire pit to create a cozy setting for hours of warm conversation. 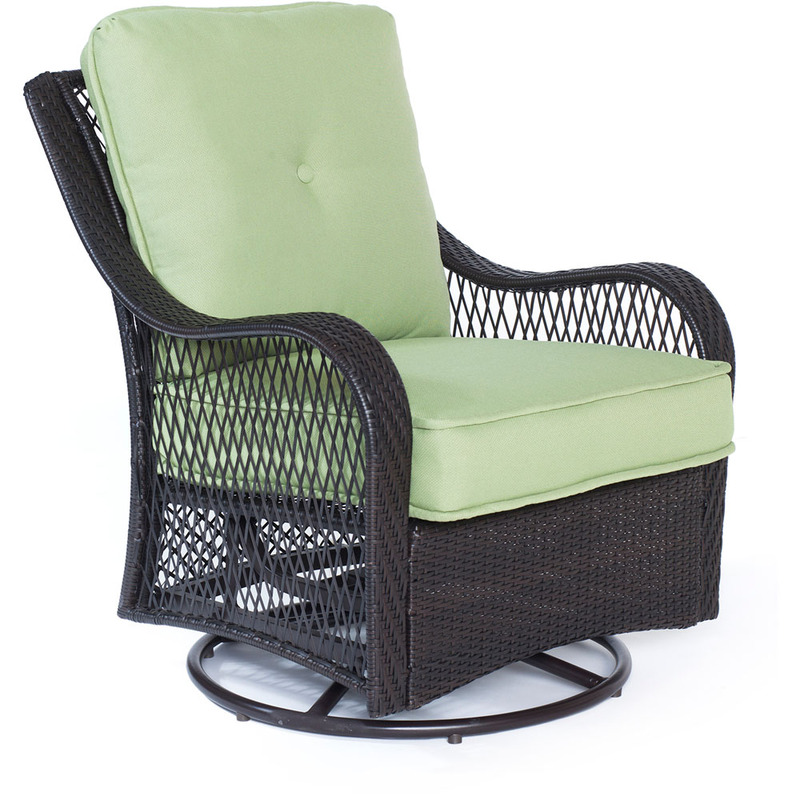 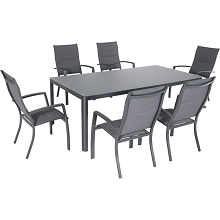 Each piece is hand-crafted with synthetic rattan over durable, weather-resistant frames. 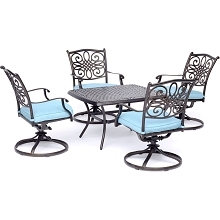 The thick, foam cushions are wrapped in premium outdoor fabric and are offered in a variety of vibrant color combinations. 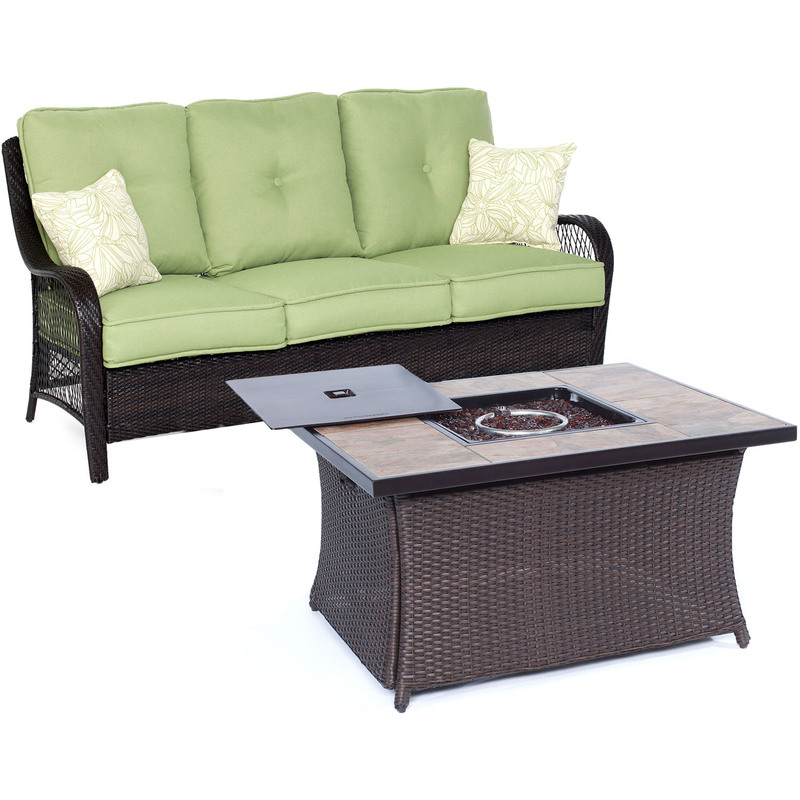 The fire pit doubles as a coffee table and includes a lid to cover the burner when it’s not in use. 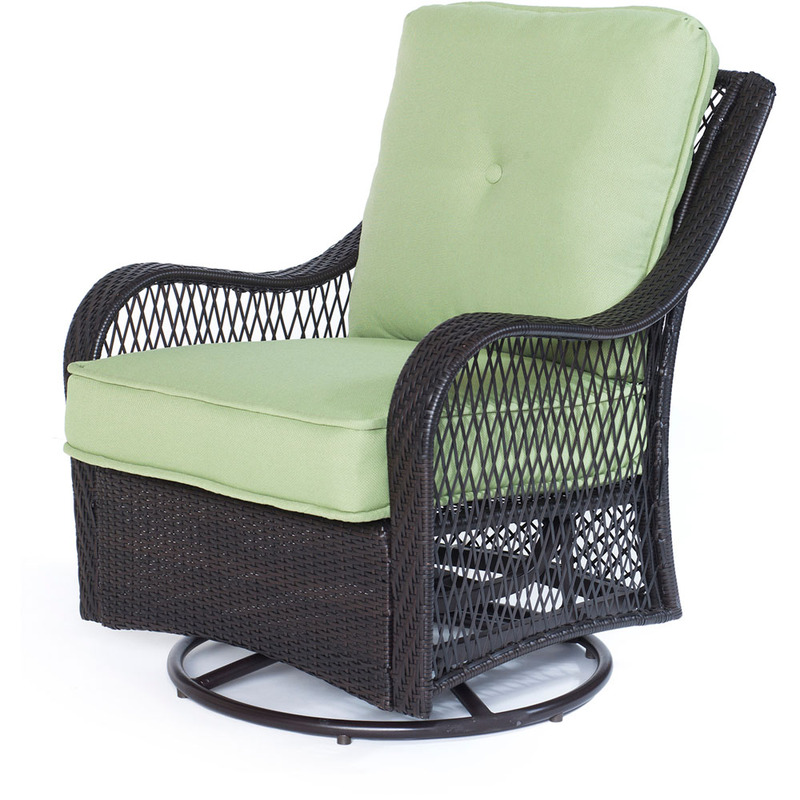 It operates off of LP gas fuel (tank not included) and warms up the surrounding area with elegance and ease. 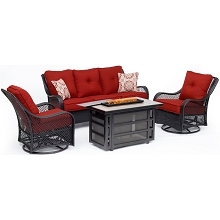 Featured cushions and accent pillows are included as well as a bag of red fire glass for the central burner.